Every WordPress developer should be doing this on their testbed, whether it’s a local instance of xamp/mamp, vagrant, or a dedicated development server. It will let PHP spit out errors and warnings, your goal is zero PHP errors and warnings, your plugin will not make it into the WP.org repo if it has PHP errors or warnings. 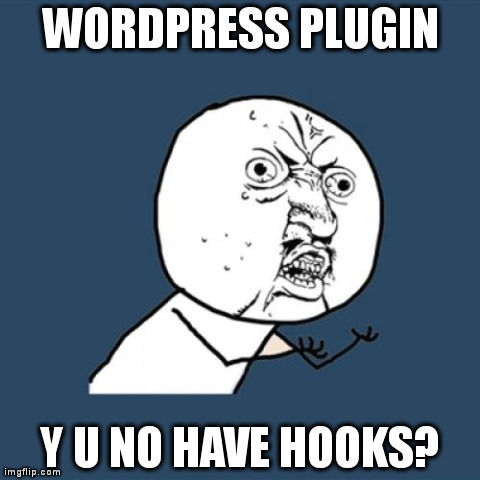 I won’t use your plugin if it has PHP errors or warnings. While git is the new hotness, and is what I settled with, SVN is what the WordPress.org plugin repository uses, so you will have to use it. 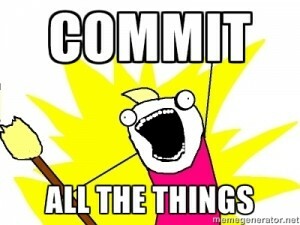 In my opinion, git and mercurial are better since they facilitate the “commit and commit often” behavior. Once your plugin is larger than one file an IDE will make your life easier, it allows you to search and manage your plugin more efficiently, and a good one will have integration for you favorite VCS. 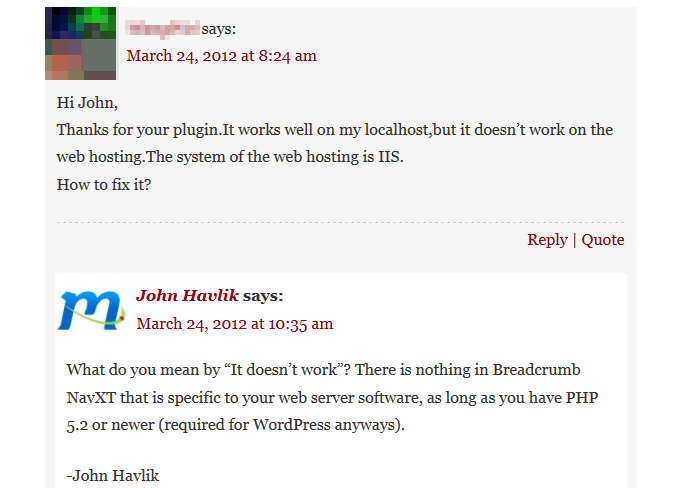 In the rewrite from 1.x to 2.0 I moved away from custom queries to using the WordPress API in Breadcrumb NavXT. At some later time I erroneously added i18n support though define statements for strings, a total mess but that’s what I had seen other plugins do. Ended up with a user asking what I was being silly and not following the WP API way as documented in the Codex. Even if you use classes in your plugin, everyone will expect there to be actions and filters for extending the plugin rather than using OOP principles for extending the classes in your plugin. @JohnONolan It should only show the message once and deactivate itself. If that is not the behavior you are seeing then it is a bug. @JohnONolan After looking at the code, I "did a stupid" and add that to the deactivation code not working, and we get a mess. 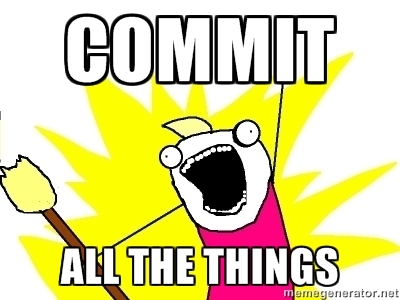 In the early 2.x days of Breadcrumb NavXT, I did monthly bug fix releases, with new features released every 3 months. Since then Breadcrumb NavXT has matured and feature releases happen twice a year, with bug fix releases as needed.